We are Manufacturer and Exporter of Clutch Brakes. 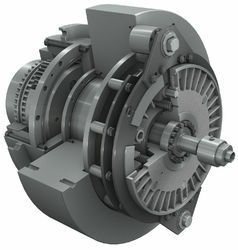 Banking on our enriched industry experience, we are able to supply Pneumatic Clutch Brakes. The unit is pre-assembled in an encased body with split shafts for clutch and brake to achieve high frequency start-stop operations. 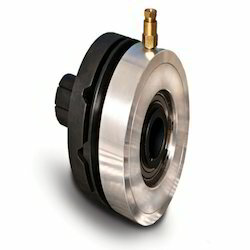 D.C.voltage is supplied to clutch and brake intermittently to achieve start-stop cycle.The design is sturdy. compact and protected from foregin particles in the enclosure.Available in design to suit various mountings. We are manufacturing, trading and supplying Multi Disc Clutch Brakes.